Talyc just left Tattooine after meeting some jawa princess that is apparently part of the clan. He thought to himself the foul-mouthed disrespectful pirate knows nothing about clan and family, yet she feels she has the right to open her mouth and let the filth come pouring out because she has known Ost'ika for some time. Her empty and idle threats like some Aruetii di'kut that thinks she is entitled to some sort of respect and doesn't have to earn it. She claims to be here to learn to fight, and to seek shelter while the heat is on her skipper and her crew. Why would I respect and care about someone who treats clan like some sort of resort. This is a way of life, not for the half hearted to dabble in when they want. Ost'ika better not assign me to train her. Ostilio stood in an old abandoned hanger on the fleet with two like minded individuals before him. Both female warriors, clad in thick beskar plating, one to his left and one to his right. Their meeting was in secret and of great importance, the discussion of an alliance of clans brought the three mandalorian chieftens together. Sure all mandalorians were united under the will of Mand'alor...and more so the Resol'nare or six acts that bound them together... but not all clans worked together, the reputation of the mandalorians only recently recovered from the mandalorian wars. Not their eventual defeat, but their fall from honor. Forsaking the old ways of their ancestors and becoming butchers, and thieves. Many clans were still stuck in the ways of the neo-crusaders, forsaking honor to pillage, loot, and kill all in their path, clans that thirsted for another galactic crusade. *Evil Grin* Mhwahahaha Best kids book ever! Basicly teaches them to think for themselves. 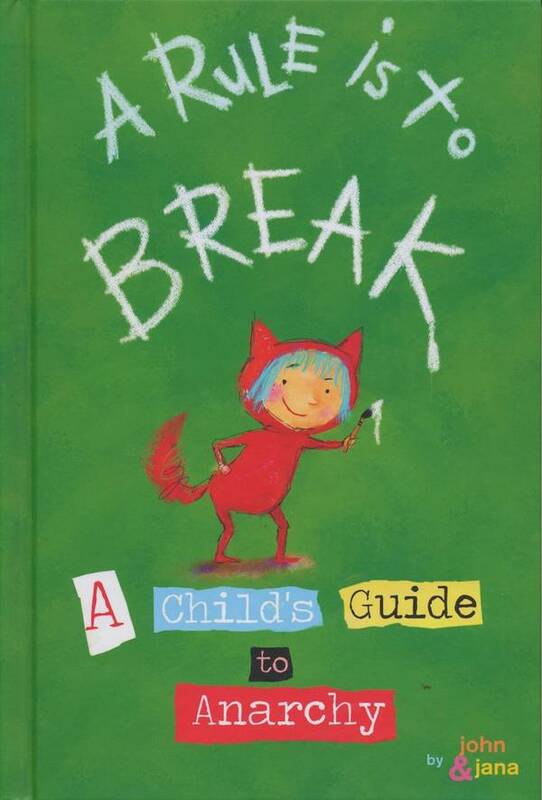 Read more about *Evil Grin* Mhwahahaha Best kids book ever! [ENCRYPTED/RESTRICTED CONTENT] FAO: Capt. Ziah'Synex, CEDF:SOG Command. It is in earnest that I begin my search for relevant information regarding the doctor. However; I feel it prudent to inform you that due to prior obligations that cannot be disregarded for diplomatic reasons, I will be conducting my research remotely. I should like to think that this will not hinder my progress too greatly, though I offer my sincerest apologies should such a contingency arise. With that proviso in place, I shall present my findings to you as and when they come to light. Read more about [ENCRYPTED/RESTRICTED CONTENT] FAO: Capt. Ziah'Synex, CEDF:SOG Command. 40 years before the events, of the forming of the SOG and Operation Purity, Csilla, capitol world of the Chiss Ascendancy, there was a great uproar. Doctor Uns'Aki’Nurrh, was one of the most brilliant scientists in the Ascendancy, specialising in genetics and eugenics. He gained a great deal of fame and respect for his research in treating multiple forms of birth defects and abnormalities during foetal development. He was hailed as a hero of science, but he wanted more. Read more about Operation Purity:Prologue. File encrypted... run decryption sequence? ETA: Three hundred and sixty seconds... would you like to listen to some music while you wait? Message to Zorion from Henerkin. Zorion, you table flipper, got your ears on? You best get a hold on Management soon, I dunno who they pissed off but this brought heat on all of us. I'm sending this to you cause they don't seem to answer me anymore. Try not to hide it under a table. A holo of the bounty is attached. Read more about Message to Zorion from Henerkin. Be on the look out for: Freighter Class Star Ship: "The Lance", "The Skull", "Bones"
The soft beeping of diagnostic devices echo through the lab as objects floated in small containers and screens flickered with information. The shuffle of feet with a slight whine of servos echoed loudly in the still room as a man with shoulder length, stringy and oiled looking white hair moved up to the kolto tank near the far end. His stark pure white eyes glinted with deranged excitement at the figure floating inside. Drehpehs slowly stretched has arms and back as he woke up from one of the most pleasant night's sleep in ages.Beside him Novah moaned slightly as her human pillow moved and she shifted slightly curling into him more closely and gave him a weak, sleepy hug.Dreh returned the embrace and kissed her on the top of her head before letting out a peaceful sigh and sliding out of bed to get ready for the day.He looked back at Novah smiling as he pulled on a shirt. "Yep" he thought to himself "today was going to be a great day." The bridge was silent, he preferred it that way, no useless chatter. If there was one thing Vosse disliked, it was useless talking. His eyes scanned across the consoles; everything inworking order, no ships on scanner, holo net activity relatively silent...hold on. He shifts and inputs the command code for the transmission coming in, listening to the soft whine of the holo projector coming to life and taking form of a symbol rather than a person. Henerkin looked at Dori and said "You know, sometimes, forgiveness is just not an option, what they did, just gotta get back to them. I might not be too keen about selling them as slaves for obvious reasons, but they will all dry up under the sun of Tatooine, I promise you that." Dori: "Are they the same who took me from my family? I was not always a slave, you know? I remember Mom and Dad and that island where we lived on Ord Mantell. Can we go there someday to see them?" This is a reminder that we are contracted by Count Noctifer strictly for combat situations. Outside of combat any orders are to come through me or Lieutenant Drehpehs. Any unauthorized commands should not be followed and reported to me as soon as possible. Cleaner One: Assassin Droid? Bounty Hunter? Organization? Fellow citizens of Hutt space, There is an interesting addition to the Hutt Cartel's card deck.Imagine a Bounty Hunter that delivers, takes his payment but you never see. Still the jobs are getting done clean and fast. One single shot to the head in most cases. How do we know ? Our sources were kind enough too show us some footage of the executions. Yes, they were all recorded. How would that be possible? A droid. Read more about Cleaner One: Assassin Droid? Bounty Hunter? Organization? An automaton rebuilt and reprogrammed by Imperial scientists, it’s at times difficult to believe Lasker was ever human to begin with, as was their intent. Lasker’s badly scarred face is, by default, completely impassive. He speaks with a clipped Imperial accent, in a voice equally devoid of emotion. Though he’s an exemplary agent, he’s hardly a perfect construct. Every now and then the mask cracks, his voice wavers, and... that’s generally when he injects something directly into his neck. Having a Great Time, Wish You Were Here. That is a rocket. 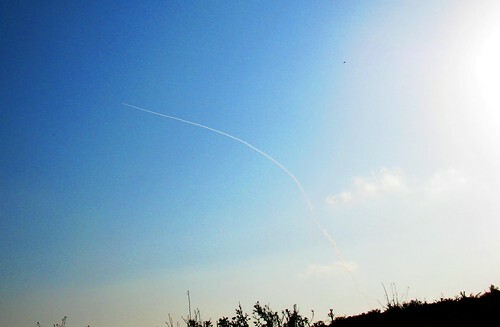 Juding by the direction it came from, we think it was an Isreali Iron Dome rocket, trying to shoot down an Hamas rocket. Read more about Having a Great Time, Wish You Were Here. Attn: Count Noctifer, Kreele, Ostillio, Ratlash and the rest of Project Invicta. The tapping woke her. Noctifer stood at the console at the foot of her bed. She sat up and winced. "Bah... hoping it was all a bad dream. Hello Nocty... or would you prefer, Greetings Your Grace?" She poked at her feet. "Hmm, I cannot tell. What is the prognosis? Will they recover? Seriously, letting your cousin get frostbitten. Was that really necessary Nocty?" Warily Rafy, tread warily. You are in the nexu's den now. And by the looks of things back on Serenno. Varn palace... the winter palace? Forced into this kneeling position as she was, she realised that she could no longer feel her feet, nor indeed her shins or the front of her knees. A flurry of snow that mimicked the lack of clarity in her brain... through both she came up with a random different tack to try. "Remember Noctifer, it might be unwise to provoke an incident. The Carlyle sweeteners are needed in processing your agricultural produce." But the wind whipped away her words and she realised that Noctifer was staring forward not at her now. I have received the proposal from yourself and Capt. Ziah’Synex, and she has consulted me personally as to the validity of the operation. Due to the benefits which would bestow both our parties, I have approved the operation, and will be assigning a formal group, heretofore known as the Studies and Observations Group, within your organization to be placed under your usage and command. "Can you hear anything," she heard her sister whisper. It was the cold that cut through the drugs they had given her. Icy blasts, flakes landing on her eyelashes, the wind cutting through her unsuitable clothing, the chill of hardpacked snow under her from knees to toes. It took a moment for her mind to clear, to register the slave collar round her neck, the bindings about her wrists. She blinked, seeing a purple and silver robe before her. Purple and silver, certainly not jedi colours. Sheesh, you're not at a fashion show now, Rafy. Focus! Chapter 16: "The Final Bound"
Read more about "Once Upon A War"